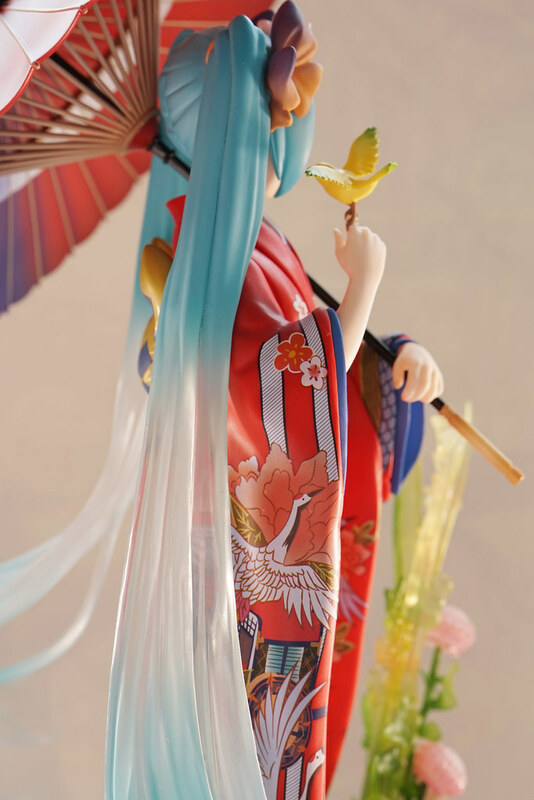 The figure looks fine and detailed as a whole. 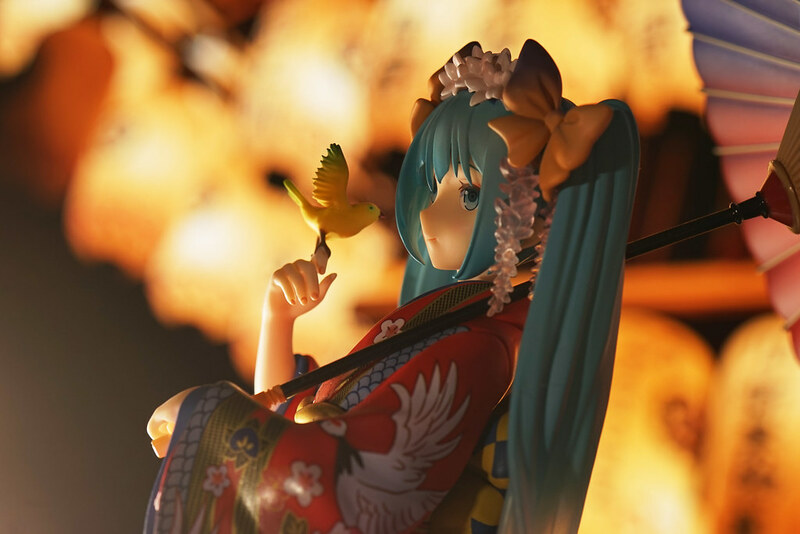 Kimono is just amazingly beautiful. 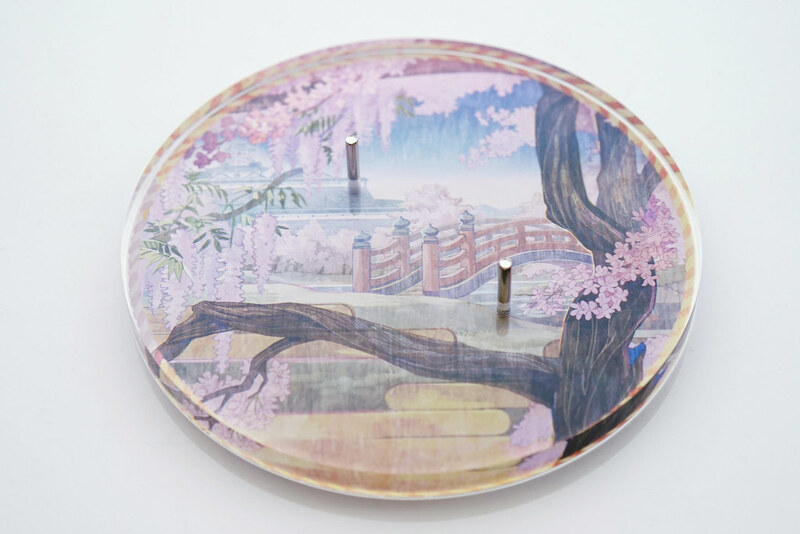 The base with illustrated printed under an acyclic plate. 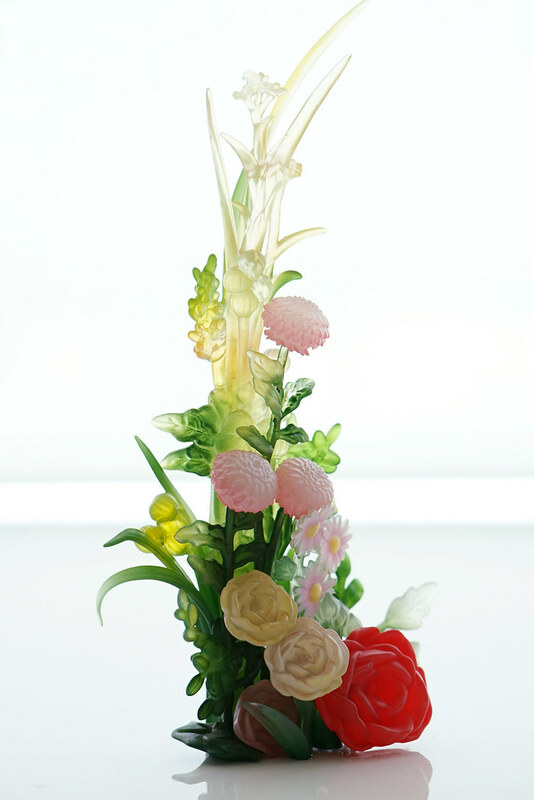 Grass and flower…just like handcraft glass art piece. 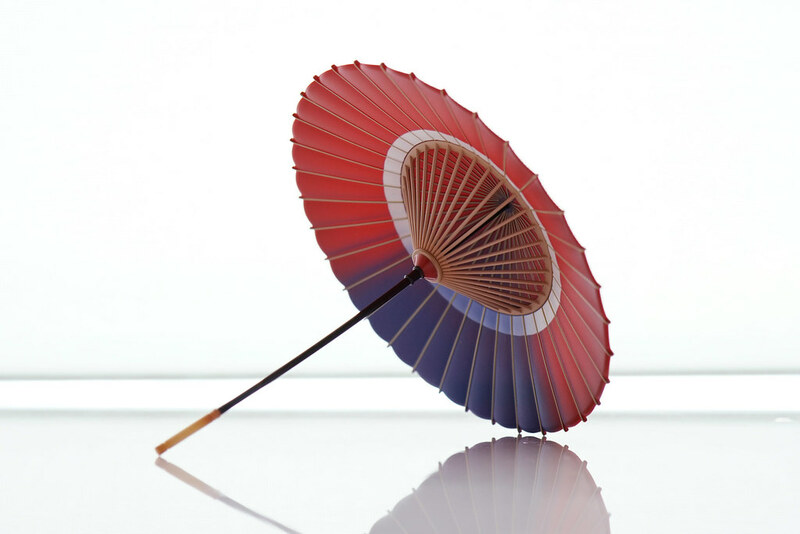 The Umbrella detailed bones and structure. 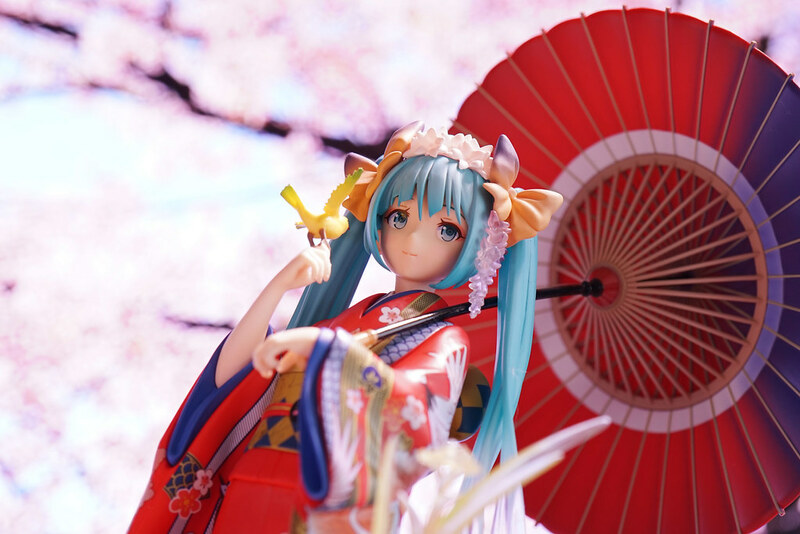 Its the first time for me to purchase figure made by “Stronger”, and I am impressed and surprised by its quality. 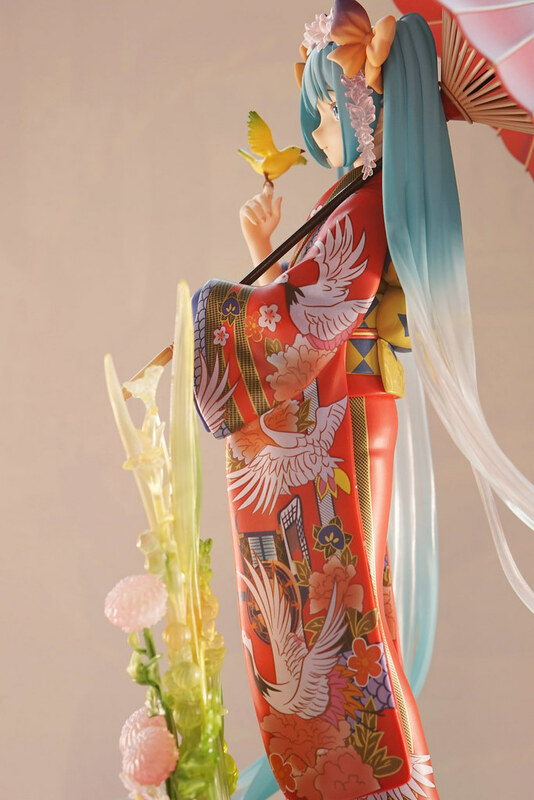 The original sculpture, materials, paints and print… all of them are finely made. 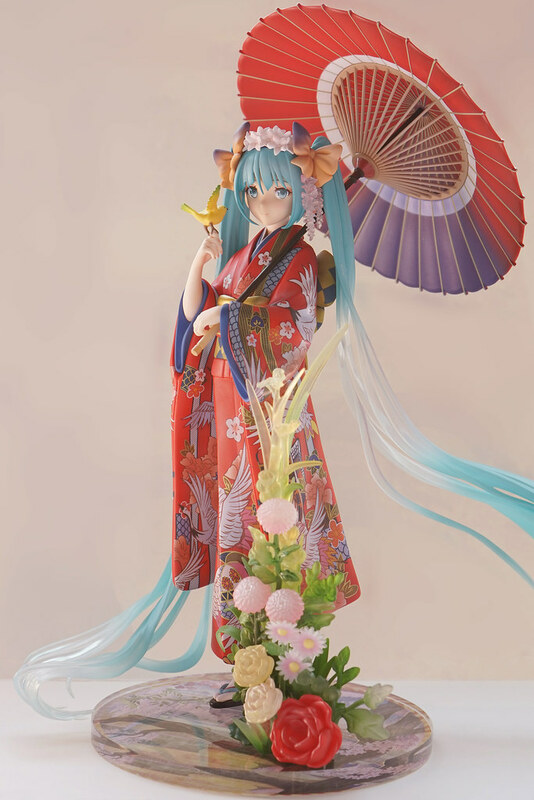 I love it much, and will be happy to purchase another figure by this company in the future. 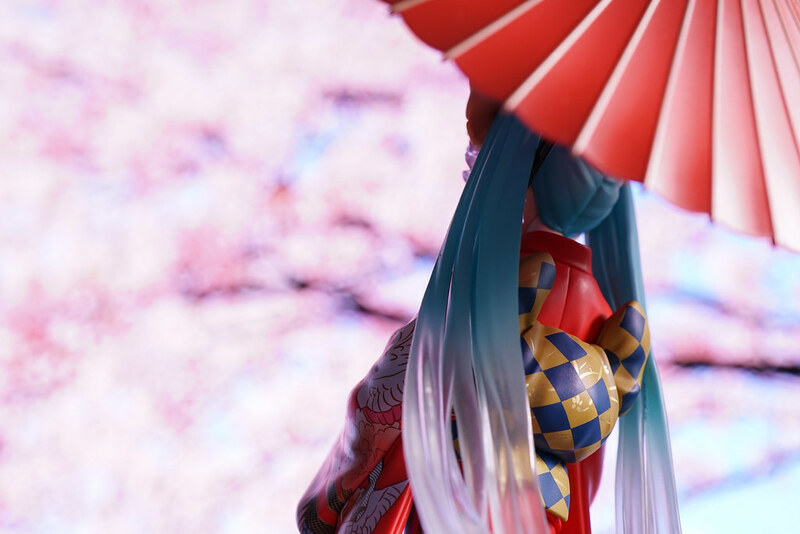 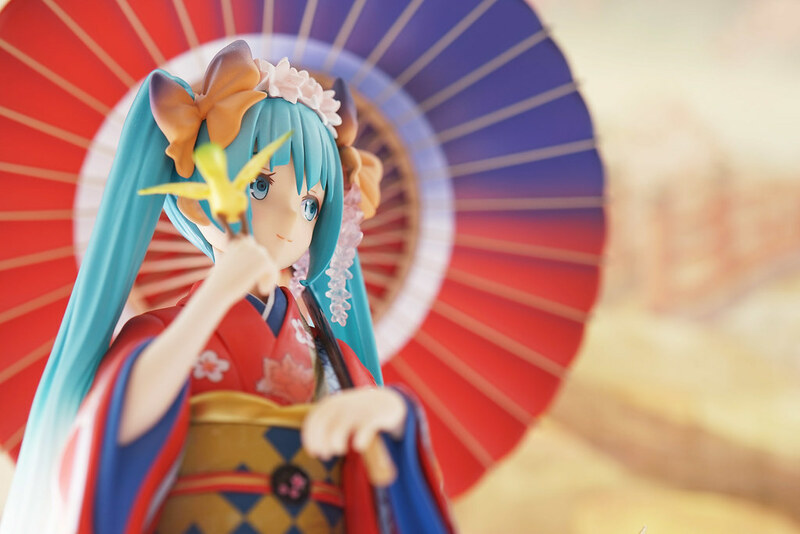 Thats all for the review for 1/8 Hatsune Miku – Hanairokoromo. 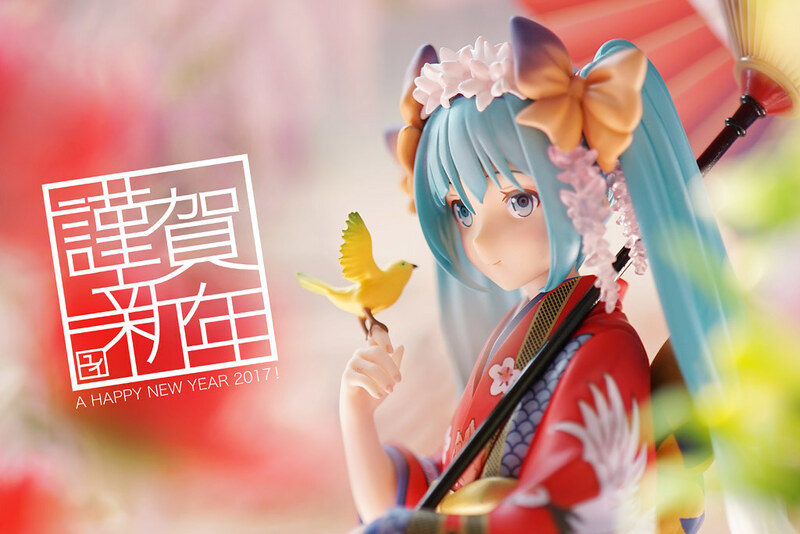 A happy new year to you 😉. 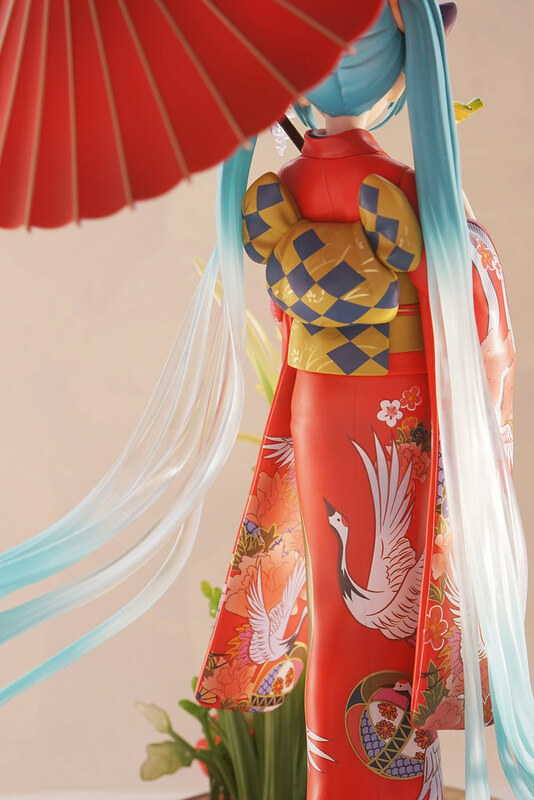 Ah, she looks so pretty 😊, I was positively surprised by the final figures beautiful appearance. 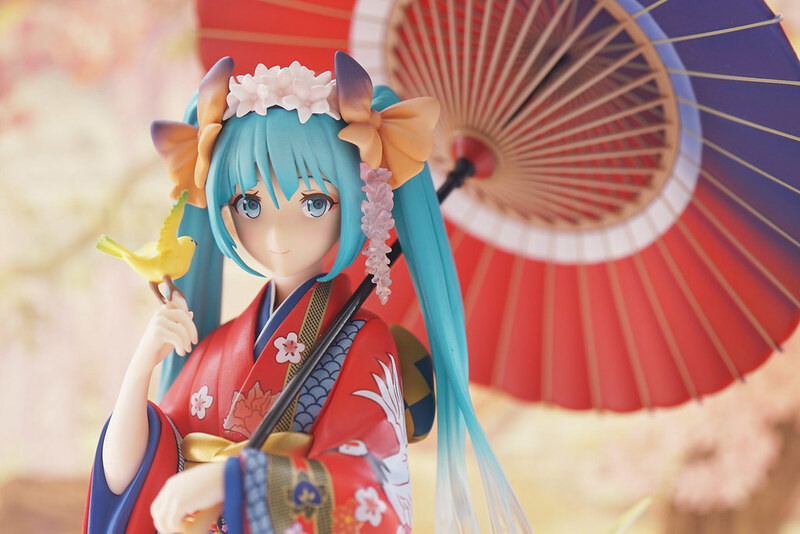 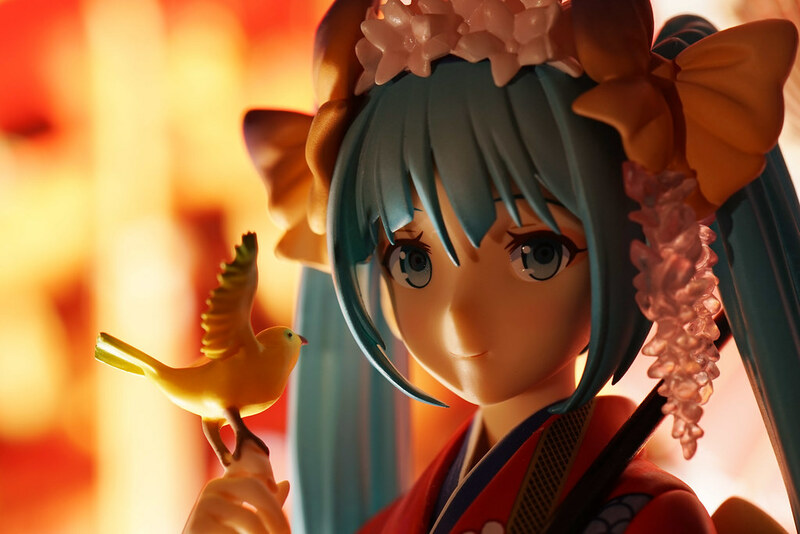 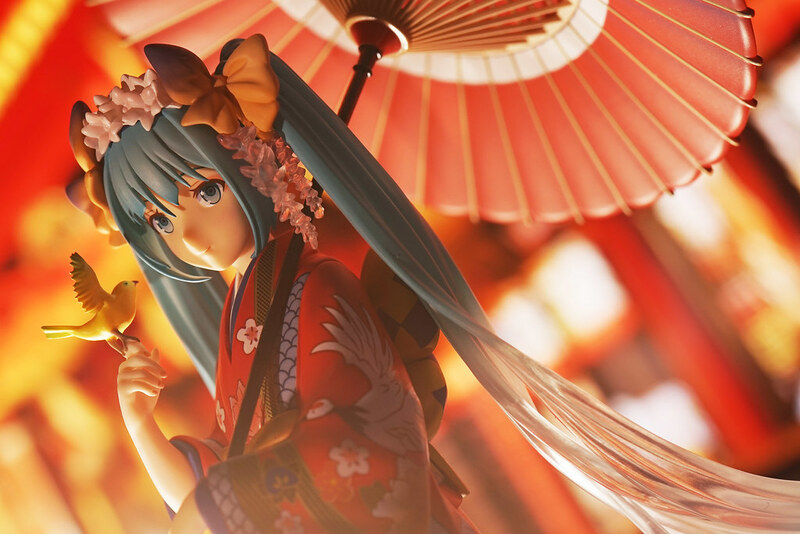 This Miku creates a graceful atmosphere with her expression, but also with her elegant outfit.